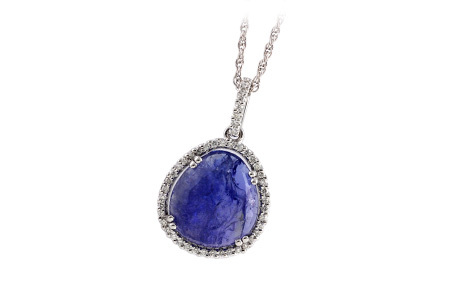 A stunning asymmetrical Tanzanite is surrounded by a sparkling halo of diamonds in this pendant. This pendant is the perfect compliment to a little black dress or for a lavender themed wedding. A unique piece that will turn heads on any outfit.